Swisspers Cotton Tips are 100 per cent cotton and provide gentleness, softness and absorbency. They are ideal for cosmetic application and removal, babycare and first aid. Their plastic stem provides excellent strength and flexibility and they are packaged in a unique dispensing design that allows for the hygienic removal of the tips. This is a staple in anyone’s household. Multi purpose and the cotton tips are really good quality. They don’t fall apart as soon as you use them and I’ve never had them come apart during use wet or dry. I also use these on my baby, I tried the johnsons baby cotton tips but found that the large rim just fell apart when I used them on his nose after showers which defeated the purpose. These may not be entirely safe to use on babies but my son doesn’t wriggle too much after his shower and I think he actually likes having his ears (not the canal) and nose cleaned. This may be a pricey pack of cotton buds as compared to other brands out there, but the sole reason why I keep returning to these is because the cotton buds do not have cotton whispers or fluff radiating from the cotton bud tips. Cotton buds from other brands are usually very fluffy around the tips, which is really annoying when I'm trying to use them. Imagine trying to pick up some product with a tip that has millions of fluff poking out, resulting in product getting everywhere on my face. Sometimes I use cotton buds to clean off stray eye makeup, and the fluff gets into my eyes and makes for a watery red eye. I don't experience such a thing with Swisspers and I'm happy to continue purchasing them! These are great quality cotton tips. I buy them in the 240 pack as we do go through them. I use them to clean away the dead skin from the inside of my ears, but also to clean up any wayward eyeliner or mascara when I'm applying makeup. They do have so many other uses though so they are handy to always have at home and to travel with. The good thing about these as they don't fall apart like generic brand ones do, even when damp. A trusted brand and a quality product that you know you can count on. I've tried many different brands but I keep coming back to this. The quality is just superior. Many brands can be a bit scratchy or pokey (which you don't want) but these are soft, durable and well made. I've gone through countless of these, especially with new piercings these past few years I've bought so many and know I can always count on it. It's a bathroom essential and it's the best you can have. Countless uses, can't live without them. Swisspers cotton tips are my go to. They are reliable, afforadable and always get the job done. I use them to fix makeup mistakes, nail polish mistakes, clean my ears or small hard to reach places, like the drain. They have so many uses. I love how they are very consistent and don't smudge or ruin your makeup when you're using it to fix mistakes. I like dampening my cotton tip with makeup remover for those extra worrying makeup mistakes. They always do the job. They are very affordable, I do recommend them, and will continue to purchase this brand. 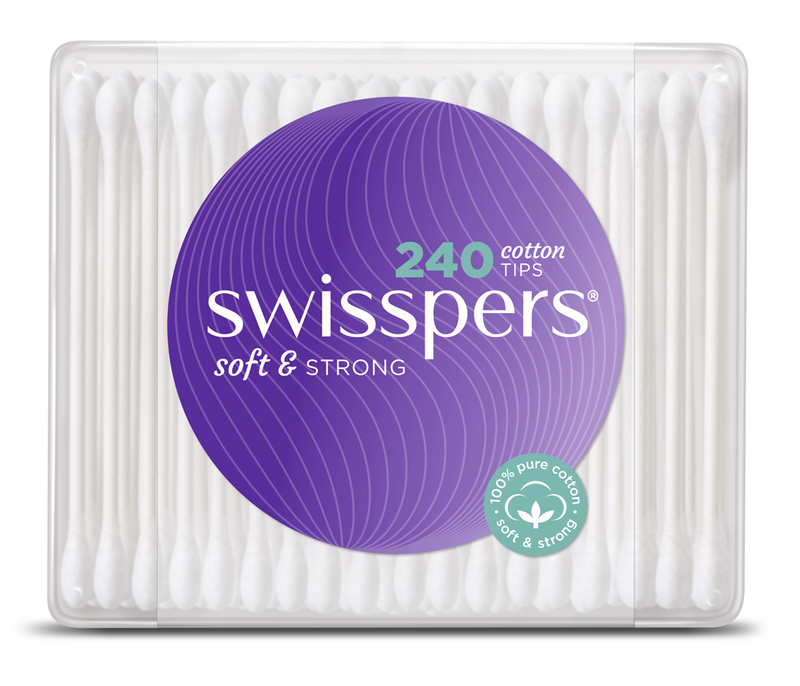 Swisspers cotton tips are affordable and do the job. Use them for applying ointments, cleaning fiddly bits on my reading glasses and many other things. My favourite use for them is cleaning up eye makeup when the eyeliner is messy or i have mascara on my eyelid. They hold together well. My only negative is if I fumble the container they all tip out. Messy and wasteful as the ones that land on the floor have to be thrown out. Who doesn't use cotton tips? Despite being disposable after a single use & plastic-stemmed, what's the alternative? Wrapping a cotton ball around a toothpick? I know we're not supposed to use them to clean our ears, but that's what I use them for, just like everyone else. The only other thing s I use cotton tips for is cleaning up nail polish mistakes, cleaning eye makeup mistakes & applying cream to a cut/wound/pimple without having to contaminate the clean tube with my fingers. • Make your own compartments within messy drawers. • Place in the shelves of your fridge door to prevent small items from falling out. • Store sachets of herbs, or packs of jelly in the pantry. • Organise your bathroom medicine cabinet. The only thing the containers are NOT good for storing is the cotton tips themselves! I've lost count of how many times I've dropped or knocked the container & spilt cotton tips all over my bathroom floor! I now transfer the cotton tips to a plastic screw top jar. REPURCHASE? Yes. I bought cotton tips from a $2 shop once: They were rubbish! I'll continue to repurchase either Swisspers or other supermarket cotton tips (whatever's on sale & not made in China) but I'll never buy $2 shop cotton tips again. MAKE A FIRST AID KIT & LEAVE IT IN THE BOOT OR GLOVEBOX OF YOUR CAR! I use an empty M&Ms container to store cotton tips in my travel first aid kit. The smallest size M&Ms tube is 10cm long, I can squeeze 25 cotton tips inside. I absolutely love these! They are truly all rounders in the bathroom scene or elsewhere. I go through several a day fixing up makeup mistakes alone! This brand ive found is better than the generic becuase it stays put with less fraying! You can use them to remove or apply makeup, clean up nailpolish or really anything else that needs a touch up! The small tip makes it great for correcting! Applying makeup - ive done this a few times when i have been missing my eyeshadow brush and its good when youre in a stick! Removing excess nailpolish - dip into nailpolish remover and clean the edges! These cotton tips are essential in every family. They are very versatile and won't fluff out like some generic brands. There are many uses for this product. They can be use to clean one's ear, fix make-up, clean nail polish that goes over the sides, as a spatula to scoop out product in a jar, and etc. These are the only ear buds I use. They are perfect for cleaning ears without them becoming all fluffy, they keep their shape and are the perfect softness and firmness also. I use these for myself and my kids, They are also great for removing makeup from under your eyes as an example or applying liquid concealer etc. I also use them for removing excess nailpolish when it goes over the sides - they are perfect ! Most homes will have a pack of these and for good reason. Swisspers cotton tips are very versatile and I use them daily. Compared to other brands I find that these hold their shape better and don't "Fluff out", like some of the cheaper competition. They are perfect for a variety of beauty mishaps too, dipping one into nail polish remover and then using to clean up when I've gone over the lines, to correct eye liner mistakes or mascara dots (dipped the end in make up remover. I've also used them to apply concealer and eye shadow. Both of which worked well. Also ideal for hygienically applying disinfectant or antibacterial creams to small wounds. Something the house should not be without is cotton buds. These are the best you can buy. Better quality than the generics. i usually get the pack of 400 as they are the best value and i don't have to worry about expiration dates. Cotton tips are an essential in any woman's (and man's) life; but what do you do when they're stiff and fall apart just seconds into using them? Well, with Swisspers I've never had a problem like this! and the large packets last forever too! Certainly fantastic quality and quantity for the small price you pay. I used to buy generic cotton tips but they are flimsy and the cotton falls off. Swisspers Cotton Tips are strong, they feel comfortable to use and they maintain their shape. I use the tips for tidying up makeup, cleaning my ears and applying creams from jars (for hygiene reasons). I buy Swisspers Cotton Tips in the 400 size. They are packaged in a transparent plastic box with a lid. I buy these in the 400 size & they last our family many months each time. I like how they come in a solid plastic oblong container, making it both easy for storage & to keep the unused cotton tips in pristine condition. The sticks are sturdy, but also fairly flexible, with a good amount of cotton on each of the dual-ended tips. I use them for many purposes, from tidying up eye makeup, or nail polish, to gentle ear cleaning. These are so good and handy, especially when travelling. It gets easily into hard to reach places. i use it to apply topical creams, so I don't need to use my fingers/hands. These are one of the better cotton buds/tips available because they do everything you want and they're low cost! I use them to clean my ears, to apply essential oils & other ointments to bites or blemishes, and to apply or remove eye makeup. They're comfortable to use, strong enough to keep their shape when wet and while holding product on them (with each stick having just the right amount of cotton on each end), and they're soft and gentle. I know I can rely on them. They're a bathroom essential. Really good, gentle, well constructed tips. I use these to remove wayward makeup and to clean my ears and for various other delicate jobs. They always keep their shape i.e. when using them to remove a mascara smudge with some concealer I never need to worry that it will leave a bit of cotton on my face as some others do. Good solid product. We always keep those around the house. They are not only used for cosmetic purposes but also around the house :) They are more expensive comparing to generic brands but also they are of a good quality.  beautyheaven's edit of the best beauty offers and promotions of the week. Life-changing tips and tricks you'll wish you'd known sooner. Beauty crisis, what beauty crisis? We've picked up a few tips and tricks along the way through mingling with those in the know. So read them, memorise them and never be a damsel in distress again.